Why we should read this post??? We must understand that what we are going to secure after reading this post as we are consuming our valuable time so we must have to secure some precious information's. Provide the practical knowledge about the fluid power, hydraulic jack and application areas of Bernoulli’s principle. 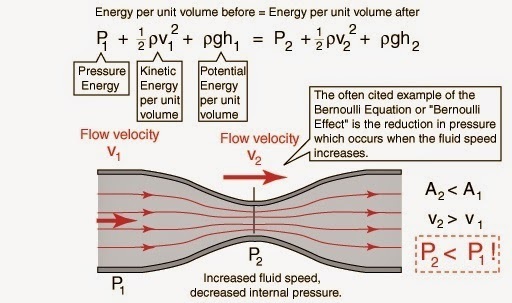 According to Bernoulli’s principle, fall or rise in pressure of flowing fluid will always be accompanied by the increase or decrease in speed. Vice versa we can also say that decrease or increase in speed of flowing fluid will cause the increase or decrease in fluid pressure. 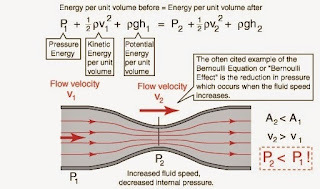 Bernoulli’s principle could be considered as principle of conservation of energy. Bernoulli’s Principle is very important principle that involves the movement of fluid due to the difference in pressure. Let us think that fluid is moving in a direction which is horizontal and accounts a difference in pressure, this difference in pressure will provide a net force and this net force will provide an acceleration of the fluid according to Newton’s second law. According to Pascal law, any increase in pressure in incompressible fluid will be transmitted equally in all the directions. We will also have to think the variables and these variables will be considered Area and force . Pressure depends on area and force. 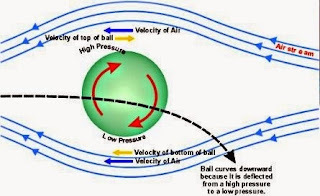 The mechanism of spinning ball utilized in sport might be understood with the help of Bernoulli’s Principle. If we consider some sports such as cricket, baseball, table tennis or soccer, sport men used to spin the ball in order to make it like curve in specified direction. When ball will spin and air will come in contact with the spinning ball, there will be two considerations. 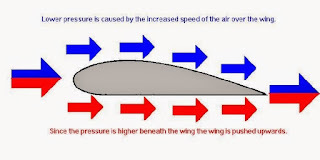 Hence, pressure of air will be higher on one side as compared to opposite side and higher pressure of air will try to compensate the lower pressure of air and try to push the ball-resulting in that curve. Hydraulic jack is commonly used in work shop or in maintenance applications, for example if we go for maintenance of E.O.T crane wheel replacement. We need hydraulic jack in order to lift the End carriage for removing and re-installation of crane wheel. The hydraulic jack is basically a mechanical device which is applied in order to lift the heavier loads with the application of very small force. Hydraulic jack work on the principle of Pascal’s law, according to which increase in pressure in incompressible fluid will be transmitted equally in all the directions. Let us consider the part or components of hydraulic jack as mentioned below. Let us consider working principle of hydraulic jack with above figure. 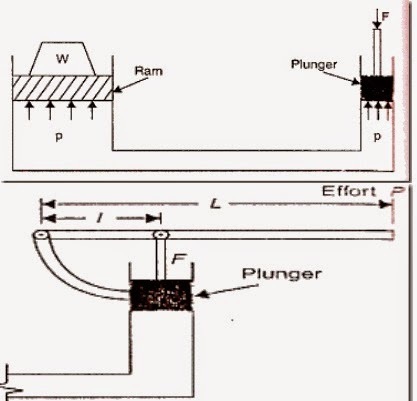 Let us consider plunger and ram and both are operating inside cylinder of different diameter and connected with each other with the help of a chamber filled with working fluid. After applying smaller force, we can lift much heavier load due to mechanical advantage of hydraulic jack. We have understood that all hydraulic system works on the law of Pascal’s law.